Church since 1986. Previous to coming to Bethany, I served Herminie UMC for 11 years and before that Hillside UMC in the Greensburg District, Gastonville and Pleasant View UMC churches in the Washington District, Braeburn UMC in the Greensburg District, and John Wesley and Harmarville UMC churches in the former Pittsburgh East District. I was commissioned during the 2014 Session of Annual Conference of Western PA. As a Provisional Elder, I have been approved by our conference Board of Ordained ministry to be ordained an elder in full membership in our annual conference. 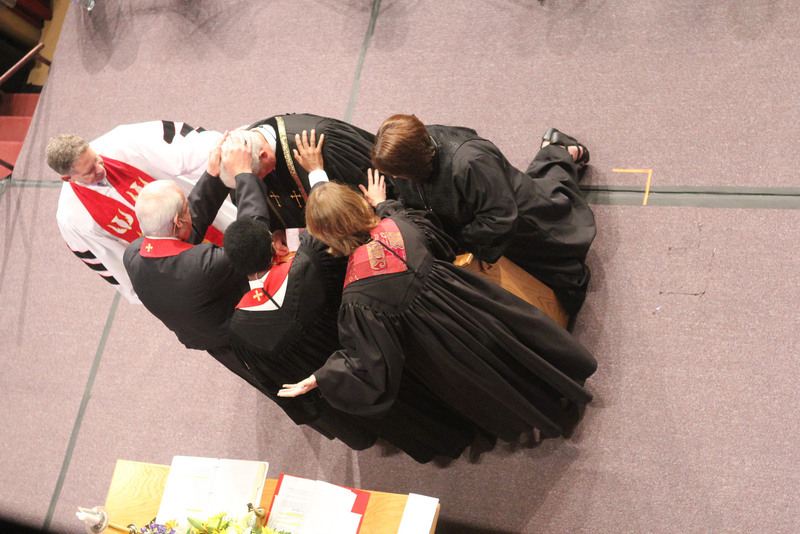 The ordination service will be held at Annual Conference in June of 2016 at Grove City College. My ministry gifts lie in the area of preaching, teaching, administration, leadership development, music and organization. Ecumenical ministry and community involvement have been important to the ministry where I have served. I have served the church part-time as a local pastor for 26 years while working full-time in various companies around the Pittsburgh region and attending school. My former work experience was focused on Information Technology and Network security for companies such as Westinghouse Electric, PNC Bank, Sun Microsystems, Union Switch and Signal, and Bettis Atomic Power Laboratory. My expertise in computer technology and networking has been helpful in churches I have served. I worked in the secular world through May of 2012 when I quit to enter the ministry full-time. I have served the church as a full-time local pastor and provisional elder now these past years. Florida and is to be married in October of 2016. Debbie and I lived in North Huntingdon Township for over 22 years. I grew up in the Irwin area where I was a member of Calvary Baptist Church on Caruthers Lane in Irwin. I was baptized at the age of 12 at Calvary Baptist church. I graduated from Norwin High School in 1975. After graduation, I served in the U.S. Air Force where I maintained electronics supporting the F-111A aircraft. After 4 years in the Air Force, I returned home and got married to Debbie. I obtained my Bachelor of Science degree in Psychology from the United of Pittsburgh of Greensburg in 1992. Once I obtained my BS degree, I attended several postgraduate programs before completing the Course of Study at Methodist Theological Seminary of Ohio in 2008. I have also completed the Advanced Course of Study Certificate program at Methodist Theological Seminary of Ohio. I was commissioned as a Provisional Elder in our Annual Conference in 2014, and I am looking forward to my ordination as an elder in full membership in our Annual Conference this summer. I am so very honored to be the pastor here at Bethany UMC in Johnstown and look forward to working together to make Disciples of Jesus Christ for the transformation of Richland Township and the surrounding areas of the Johnstown area. Please make some time for us to get together and see how we can all work together to build the kingdom of God from the inside of our church outward into the world around us. God bless you as I look forward to getting to know you all! Peace and God’s blessings to you all!